When it comes to choosing a professional speaker for your next event, you will find no one more respected, genuine, and successful than Duane Martinz. An energetic and enduring storyteller, Duane naturally captures his audience's attention through relatable life events and humor. His passionate message keeps attendees entertained, inspired, and engaged. Duane Martinz is an author, professional keynote speaker, sales trainer, life coach, and entrepreneur. His philosophy is that life is a gift to be enjoyed, not a sentence to serve. His mission is to influ­ence others to think big and live bigger. He believes that every indi­vidual should write his or her own story of success, but to achieve the desired results, one must approach each day with confidence and intention. An energetic and endearing storyteller, Duane naturally captures his audience’s attention through relatable life events and humor. His passionate message keeps attendees entertained, inspired, and engaged. Duane’s credentials include a B.A. degree in Mass Communication and Public Information from Montana State University as well as advanced certification from Toastmasters International. Duane is a certified World Class Speaking Coach, certified by Craig Valen­tine, 1999 world champion of public speaking and Mitch Meyer­son, founder of Guerilla Marketing Coaching and author of Mas­tering Online Marketing. Today, Duane is a professional public speaker and author, pursuing his goals to be a lifelong student of excellence and to encourage others to participate actively in their own self-development in order to reach their goals. A devoted husband and father to two sons, Duane enjoys living a simple, yet abundant life in small town USA where many of his re­latable anecdotes are inspired by his own family, background, and community. 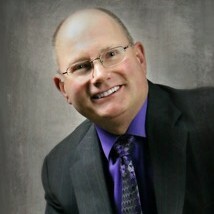 Find out more about Duane Martinz at http://DuaneMartinz.com.